Helping corporations, executives and employees maximize the impact of their equity compensation plans. 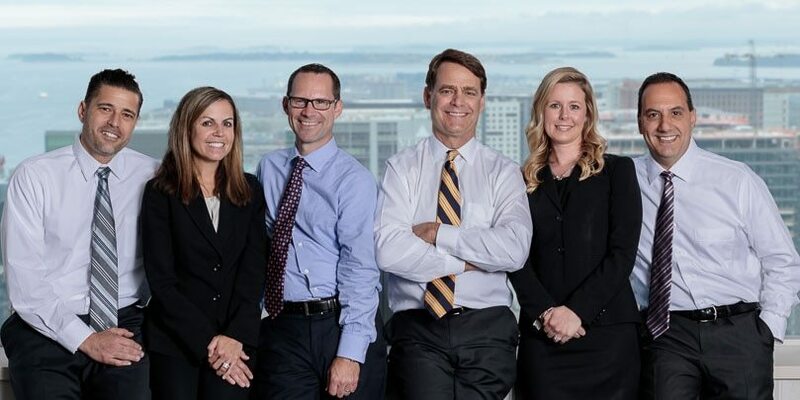 The Fucigna Group is among a select group of advisors focused exclusively on equity compensation plans for corporations, as well as their executives and employees. We provide plan administration, executive financial services and wealth management solutions. For more than 20 years, we have delivered the strategic vision, knowledge, customized solutions and day-to-day services companies need. 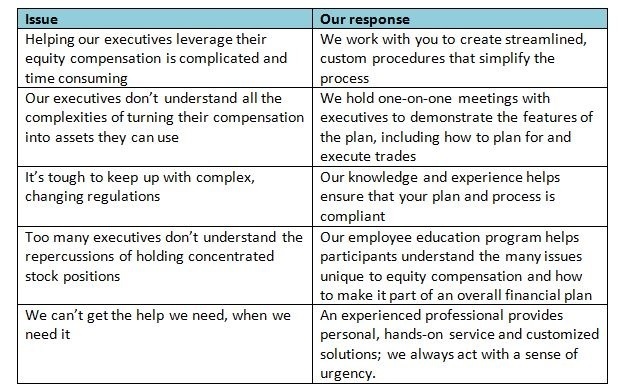 As a designated Morgan Stanley Corporate Equity Solutions team, we also draw on the combined experience of more than 400 dedicated professionals to handle any issue. And we are proud to offer the kind of proactive, highly personal service our clients can trust. Is your equity compensation plan as effective as it could be? Your company’s equity compensation plan is an invaluable incentive, but it can be time-consuming and difficult to manage. It requires specialized knowledge, and external administrative platforms can be inflexible. The Fucigna Group provides comprehensive services and customized solutions to help streamline plan administration, freeing your team for other crucial initiatives. Why choose the Fucigna Group? You work with a single team dedicated to managing every aspect of your equity compensation plan. We adapt to your plan … not the other way around … and provide solutions that address your specific issues. Our knowledgeable professionals are each familiar with the intricacies of your plan, so they can provide accurate, speedy solutions to any issue. Personal, concierge-level service – it’s one of the most distinctive benefits of working with The Fucigna Group. We draw on the resources of Morgan Stanley’s Corporate Equity Solutions and Executive Financial Services Group, which administers plans for more than 300 companies and 1.28 million participants worldwide. Even seasoned executives struggle with the complex regulations around trading company stock. The Fucigna Group works with your legal team and plan administrators to create a streamlined trading process, and provide your executives with a clear path to liquidity. We also create custom, one-on-one educational programs to help executives plan for, pre-clear, execute and report trades. And as a team that works exclusively on equity compensation plans, we can leverage industry best practices to help maximize the impact of your plan. The Fucigna Group provides comprehensive wealth management for executives who receive equity awards. Our knowledge and experience with corporate equity plans enables us to integrate their equity compensation into a comprehensive, goal-based wealth management solution. This is a crucial benefit for anyone who receives significant compensation in the form of equity. Our comprehensive array of wealth management services includes wealth planning, retirement and education planning, investment solutions, access to banking and lending, estate and trust services, insurance, philanthropy and executive financial services. We follow a rigorous yet flexible process to create a holistic, consistent, objective strategy that underpins each financial decision. James is the founder of The Fucigna Group at Morgan Stanley. He works strategically with the team’s corporate clients to help maximize the value of their equity compensation plans by streamlining processes, creating education initiatives and managing executive trading and service. In addition, James helps executives integrate their equity compensation into comprehensive wealth management solutions, which may include access to lending, estate and trust services, insurance and risk management, philanthropic services and short-, medium- and long-term financial planning. James has been with Morgan Stanley and its predecessor firms since 1981. He has earned the prestigious Family Wealth Director designation, a distinction held by just 1% of all Morgan Stanley advisors. A recognized thought leader and regular speaker at conferences and industry events, James was recognized by Barron’s Magazine as one of America’s Top 1000 Advisors in 2012, and a Top 400 Broker-Dealer Advisor by Financial Times in 2015. He earned a B.A. in Economics from University of Connecticut. An avid skier, James is a former Chairman and Trustee of the Waterville Valley Black and Blue Trail Smashers Ski Educational Foundation. He and his wife Laurie live in Hopkinton, MA, where he enjoys surfing, sailing, gardening, fitness and most importantly, spending time with his five children and two grandchildren. 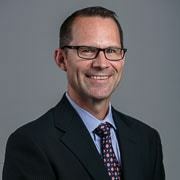 Brian is a senior partner with The Fucigna Group at Morgan Stanley. He focuses on tailored solutions that help administrators, executives and employees maximize the value of their corporate equity plans. As a member of the Morgan Stanley Corporate Equity Solutions team, he has access to the breadth and depth of resources across the firm. 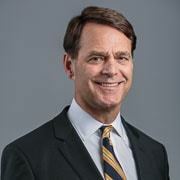 Brian has been with Morgan Stanley and its predecessor firms since 1998. He has been recognized as a member of the firm’s Master’s Club which honors top Financial Advisors. He is an active member of the NASPP Boston Chapter Board; a supporter of education and industry events throughout the region. He earned his B.S. in Financial Management from Franklin Pierce University, and has been recognized as a CEP since 2013 – a designation that recognizes both knowledge and a commitment to excellence. Brian, his wife Kate and their three children live in North Reading, MA, where he is a board member of the town’s Youth Soccer Association. He enjoys coaching youth soccer as well as skiing, boating, cycling and most important, spending time with his family. 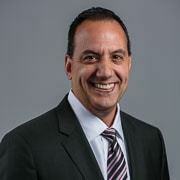 Robert is a partner with The Fucigna Group at Morgan Stanley. He is responsible for ensuring that plan administrators and participants receive a concierge-level of service and responsiveness. Robert has been with Morgan Stanley and its predecessor firms since 1997. He has spent his entire career working with corporations and their employees that receive equity compensation. In addition to stock plan administration, he is particularly dedicated to the development and delivery of stock plan education initiatives. Robert earned a B.S. 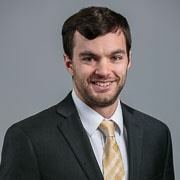 in Business Administration from Bryant University, and is a CEP candidate. He lives in Easton MA with his wife Kim and their two children. 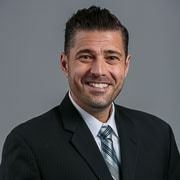 In addition to coaching various youth sports, Robert enjoys golf, basketball, clean eating and spending time at his family’s summer home on Cape Cod. 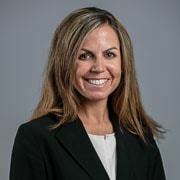 Nancy handles Executive trading for corporate clients for The Fucigna Group at Morgan Stanley. She strives to develop strategies for maximizing the value of equity compensation, such as diversifying concentrated positions and managing stock options, restricted stock and stock purchase plans. Nancy has been with Morgan Stanley and its predecessor firms since 2000. Her dedication to service has deep roots  prior to assuming her current role, she was a client service representative for Smith Barney. She earned her B.S. in Marketing from Babson College. Nancy lives with her husband Anthony and their three children in Hanover, MA. She is an accomplished distance runner, having completed nine marathons across the country. Nancy enjoys traveling, skiing, yoga and spending time with her family. 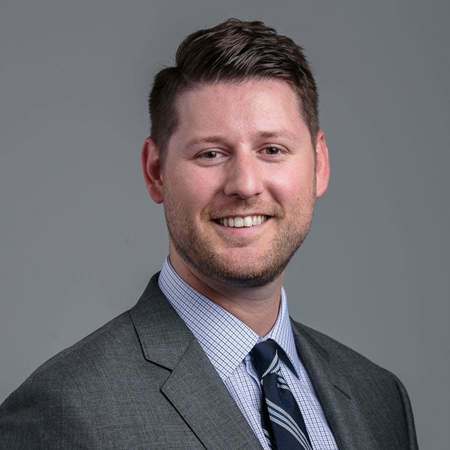 As a Wealth Management Associate, David works with corporate clients to streamline processes, create and deliver education programs, manage executive trading and offer exceptional client service. He has more than 20 years experience in financial services. David earned a B.S. in Business Administration from Suffolk University. He and his family live in Lynnfield, MA where he enjoys hockey, swimming, reading and family time. Bob helps stock plan participants navigate their online accounts, while handling a variety of financial transactions. He also manages vesting events for corporate clients. He earned his B.A in Communications from Stonehill College, where he was captain of the lacrosse team. Bob grew up in Greenwich, CT and now lives in the North End of Boston. Chris provides day-to-day support for the team, helping clients leverage the firms resources in support of their overall financial goals. He earned a B.S. in Finance and Economics from Bentley University, where he graduated with honors. 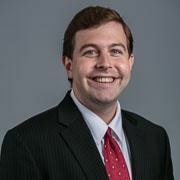 As a lifelong resident of the Boston area, Chris is an active Boston sports fan and enjoys golfing, skiing and spending time with friends and family. Adam works with stock plan participants to help ensure flawless transactions and back office support. In his 7 years of financial services experience, he has worked with both private clients and institutional investors. Adam earned a B.A. in Economics from Rollins College. He lives in Cambridge with his wife and two bulldogs, and enjoys golf, hiking and traveling. Adam is an avid Boston sports fan. 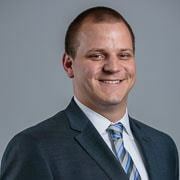 Andrew is focused on providing excellent service and support for stock plan participants and individual clients. He is the primary contact for UK based plans and manages all of the processes related to estate settlement for the group. Andrew earned a B.A. in Economics from Fairfield University. He enjoys golf and is a car enthusiast.